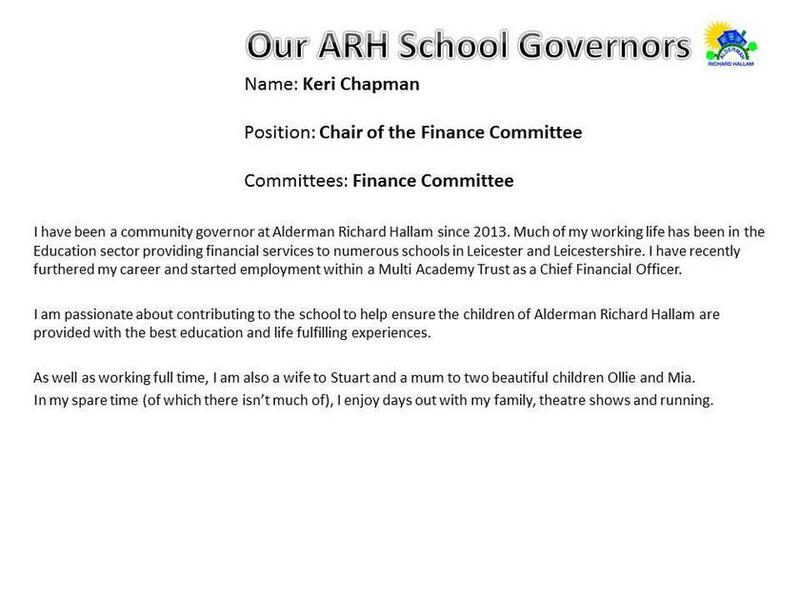 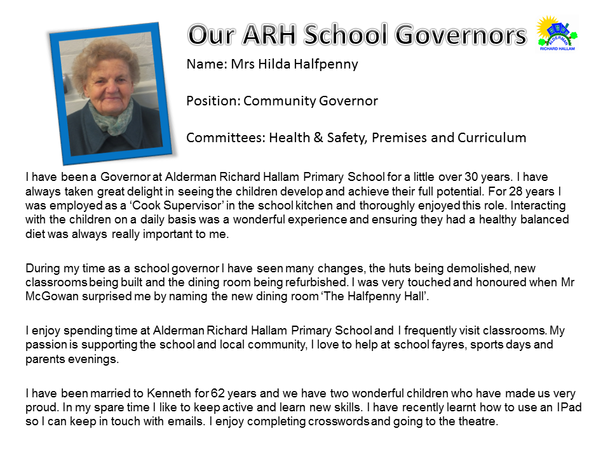 The Governors of Alderman Richard Hallam are proud of the opportunities offered to our pupils to develop the values and skills essential for their futures. 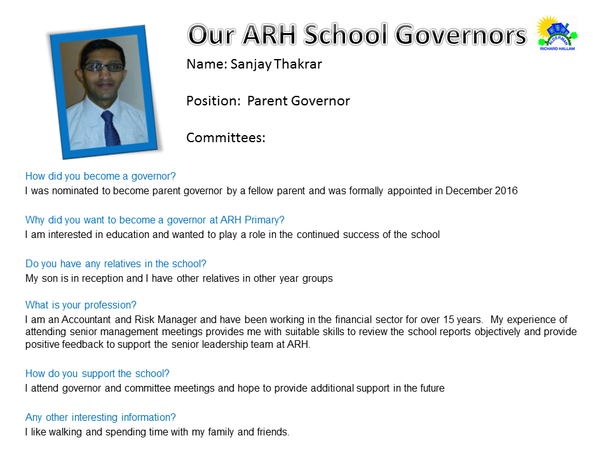 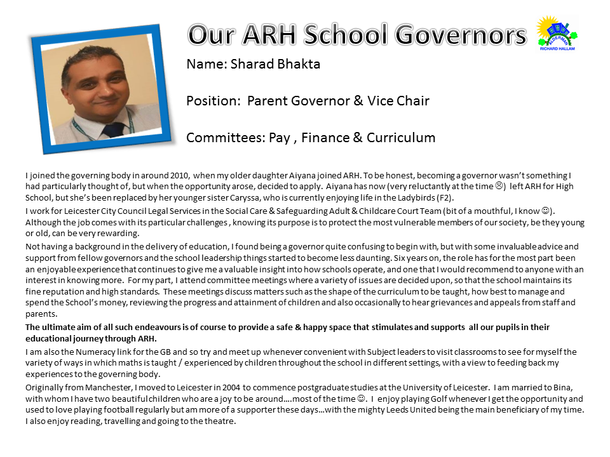 Parents, carers and staff are represented on the Governing Body, working closely with the Head Teachers and Leadership Team to deliver the school’s mission statement and provide an exciting, stimulating and child led curriculum. 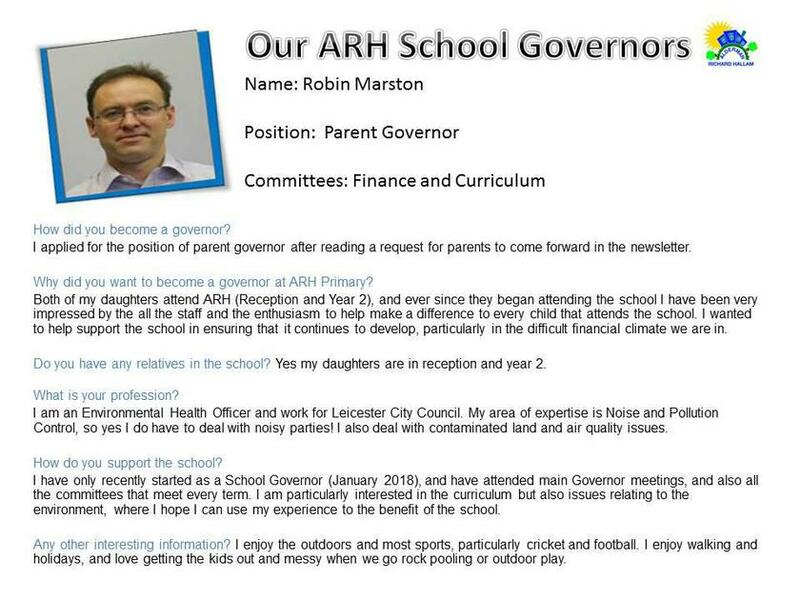 Our school governors are regular visitors to school, undertaking learning walks, book trawls and meeting with our children to ascertain their views and opinions. 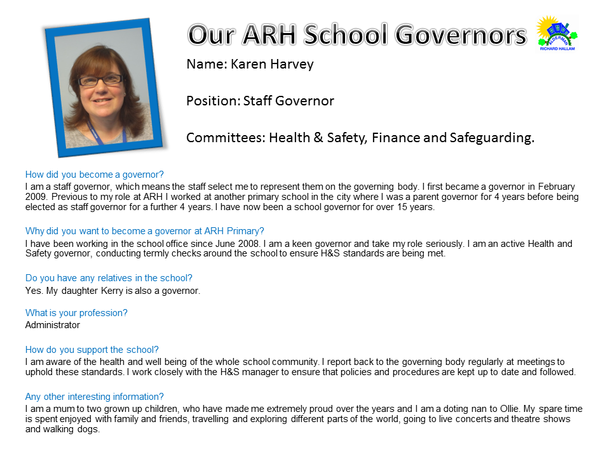 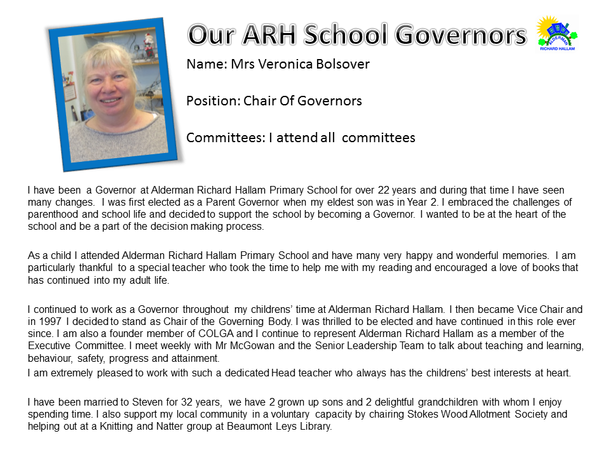 Our Chair of Governors, Mrs Veronica Bolsover has been a governor at ARH for over 21 years. 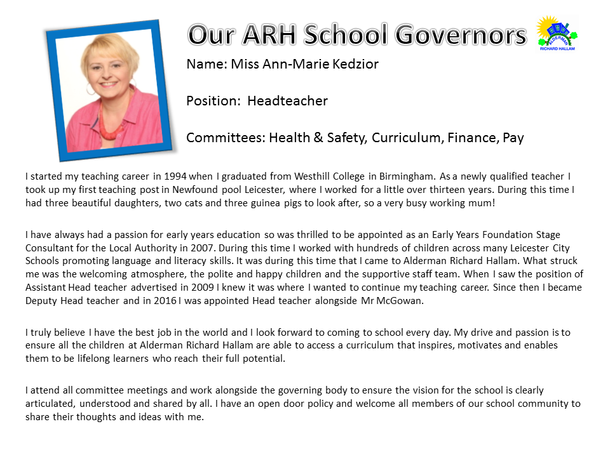 Her goal has always been and continues to be ensuring that all of our children receive an outstanding education. 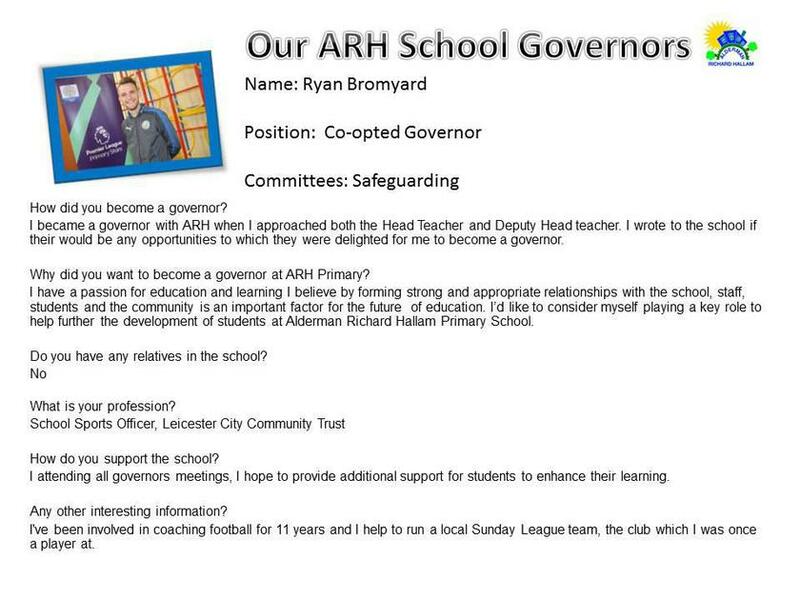 If you would like to contact Mrs Bolsover to discuss the work of the governing body please contact the school office on 0116 2624003 or email the office@aldermanrichardhallam.leicester.sch.uk.